I was flicking through my copies of FRUiTS and FRESH FRUiTS the other day (which are such a good buy by the way, they never get boring to look through!) 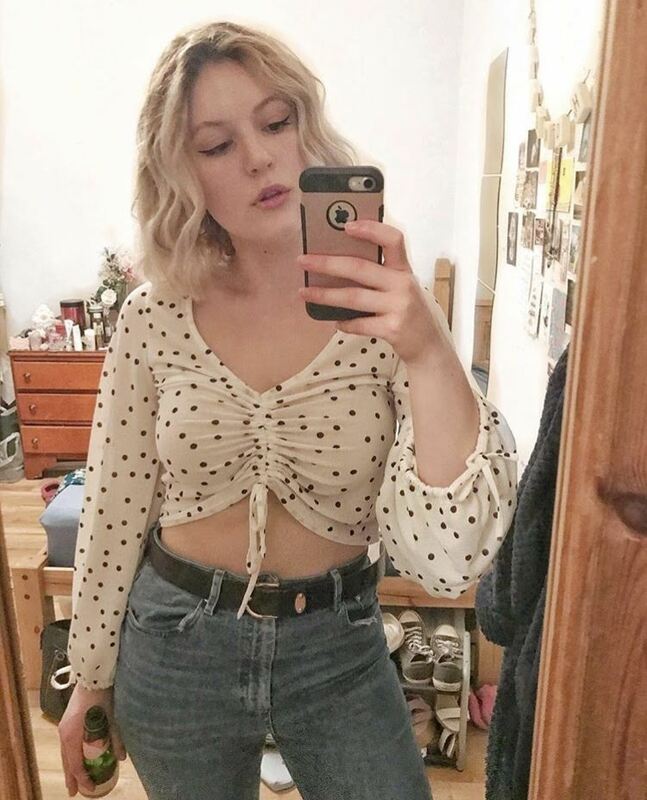 and I kept seeing photos of one person and thinking 'hasn't she been featured in here before'? So I went through the whole of FRESH FRUiTS and took pictures to show you, as her style is really cute! Her name is 'Saachan' and she is featured no less than 6 times in the second volume. 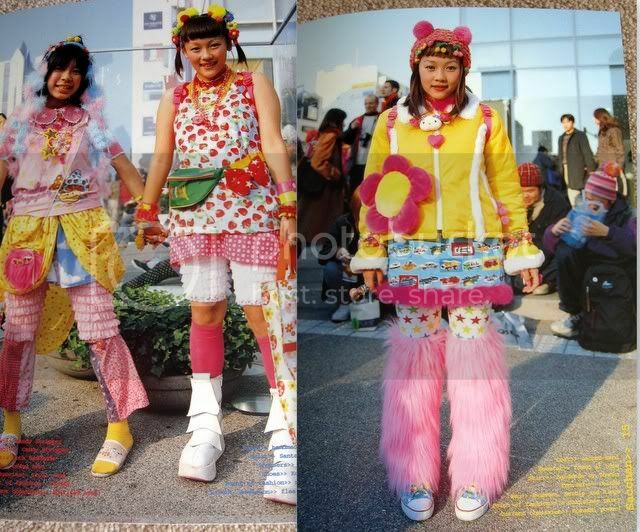 If I lived near Harajuku I would be hanging out there in the brightest outfits possible in the hope to be photographed by Shoichi Aoki for sure! 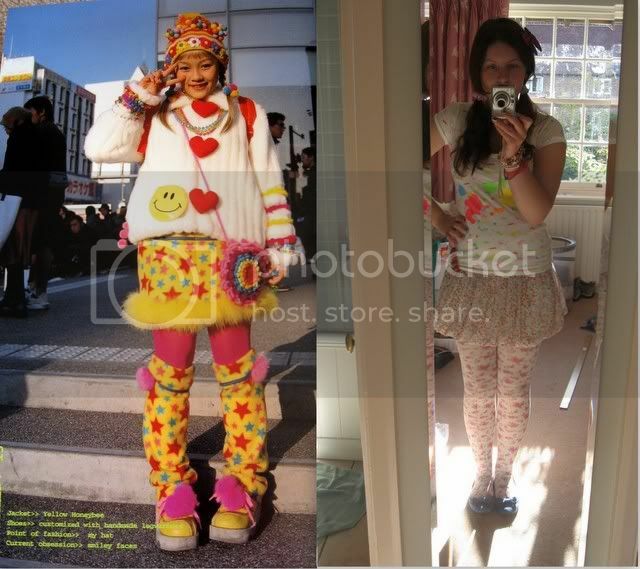 I tried to recreate her kawaii decora style, but sadly these are the brightest clothes in my wardrobe I don't quite live up to her colourful style! 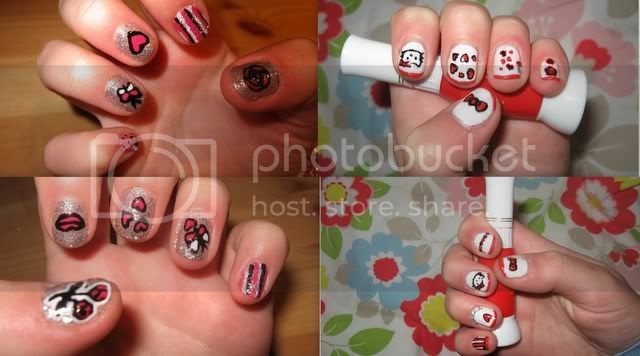 I've also been decorating my nails with these Korean pen polishes from Ebay, I had Hello Kitty themed ones last week much to the delight of my 3 year old cousin who LOVES Hello Kitty and made me draw HK bows on her nails and then told me I'd 'done them wrong'. 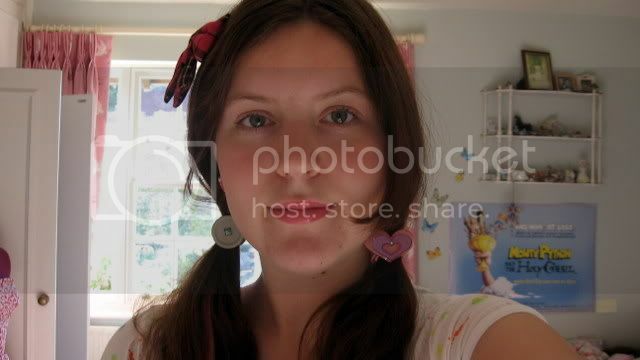 You can see a bit in this photo that I have a pink streak in my hair, its not real though I'm not that brave! Also another sneak preview of my redecorated room in the background, only a few more pictures to hang and then I will do a full post on it! This week I've cooked dinner for my family every night, Tuesday I made Miso Ramen with soba noodles which was so yummy but didn't look very appetising and I forgot to take a picture; but Wednesday I made onigiri for the first time and they weren't too bad! I'd love to go there some day.Japan is a place full of inspiration and I bet that seeing all of this amazing , crazy outfits on the streets will make you more open-minded ! Saachan is so quirky! Kawaii!! Good job on trying her look! This style is so fun and colourful and I love your interpretation of it. 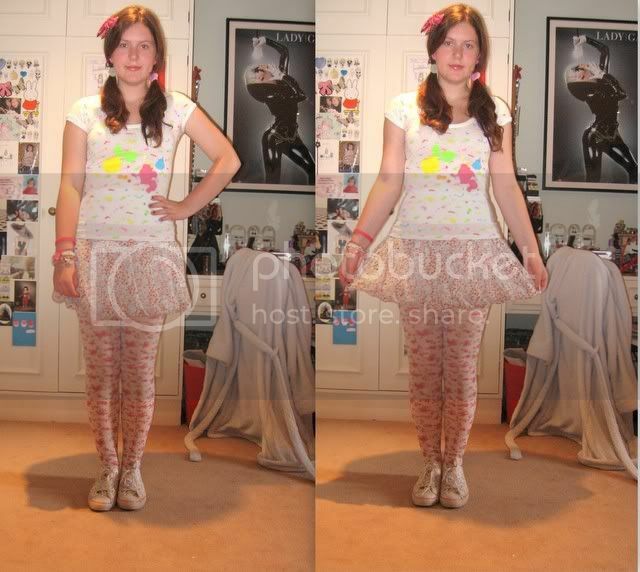 You did it perfectly and I love your top and floral leggings. 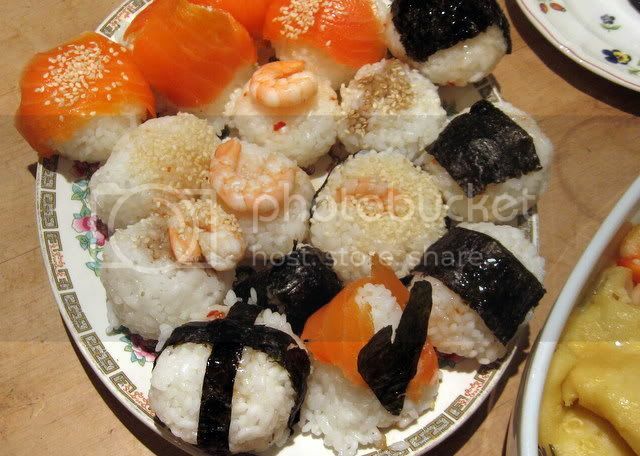 I love sushi so much too. Love your interpretation! I have the first Fruits book and you're right, it's so much fun flicking through it. 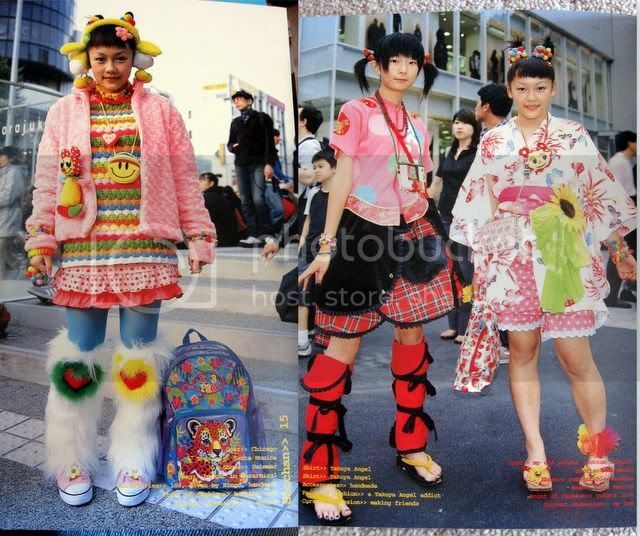 But anyway, you definitely couldn't wear that crazy look anywhere other than Harajuku. I think you would get made fun of, seeing as sometimes wearing bright patterned tights gets reactions from strangers haha...bit annoying but I guess you would get used to it!